Two giveaways ended last night. All winners were chosen via random.org. The winners have been emailed. And have 72 hrs to confirm or new winners will be chosen. Thanks everyone for entering. My Question: Do you wear a watch? My Answer: My son just got a watch for his birthday. So it made me want to start wearing mine again. 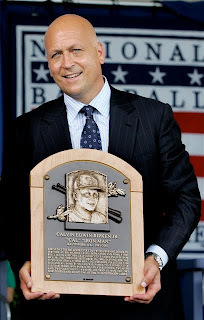 I wasn't wearing one for a while because I would just rely on my cell phone if I was some where for the time. But now my cell phone is on the fritz so I can't use that. And I guess I need a new watch too, because after pulling mine out after a year it appears to not be working to well either. What does Made in America mean to you? Do you hold that standard high? I know that that is important to me. I really feel that this is an important part of America. And is vital to America's economy. I wish there were more companies that would keep things made in America. Instead of outsourcing their products. This is being done, I guess for cheaper labor elsewhere, but it has shut down a lot of factories in America. And it has affected whole communities and really started to deconstruct America. It is very nice to find out that there is a company that is trying to help revitalize America. This company is Ramblers Way Farm. They are the makers of fine woolen apparel. And they use 100% domestic resources. Ramblers Way sources, grows, and produces their products all with domestic resources. Ever go to a small town, or do you live in a small town that is losing all their small "Mom & Pop" shops? Downtown areas historically have been anchored by these business. Well more and more they are closing down and leaving these towns. Being replaced in suburbs by strip malls. Very sad, I think. Well that is one cool way that Ramblers Way is trying to help too. They have made their Corporate Office from a fully refurbished building. It is located in Kennebunk, Maine. And this building is from 1792. It has been restored to it's original condition, with some modern touches to meet today's environmental standards. This is really a great thing this company is doing. Not only are they keeping the Made in America standard they are also trying to preserve small towns by bringing manufacturing back into distressed communities. They are helping revitalize America! Very Cool! I came across a notebook my daughter had from this years school work. I think they had to keep a journal, and write short stories in it once in awhile. For some reason, I was cracking up laughing at these two entries of hers I came across. Maybe it's just me. My favorite thing about fall is jumping in the leaves. My least favorite thing about fall is my dad has a thing that blows away all the leaves. There was a girl named Sarah she had a friend named Jess. Jess wasn't really her friend. She was there for the money. She never came over unless she got paid. This is a Sponsored Post written by me on behalf of Haws. All opinions are 100% mine. Office buildings with water coolers and the heavy 5 gallon jugs? Schools or gyms with water fountains that seem anything but sanitary? Well now there is a solution for that. It is called the Hydration Station. The Hydration Station is a touch-free, filtered water system. It is a dispenser that uses reusable bottles and containers. This is perfect for offices, schools, gyms or anywhere people stay hydrated! Not currently for home use though. But if you ever worked in an office - then you know how difficult it is to change those water coolers. This sounds like the perfect solution. I also like the fact that The Hydration Station is promoting green living. This is great for green projects. Because it reduces waste from single-use plastic water bottles. That is one of the things that really bugs me. All the plastic bottles that are being wasted and thrown into landfills. This could really make a difference with that! The Hydration Station is more then just a water dispenser. It processes tap water into great tasting pure water. It does so by using state of the art filtration technologies. Sounds great! If you are the owner of a business or thinking about this for your school or gym you should really check this out. Say goodbye to wasteful bottled water and awkward 5 gallon water jugs. Think of all that you can save with the Hydration Station: Time, Money, Maintenance and Water. 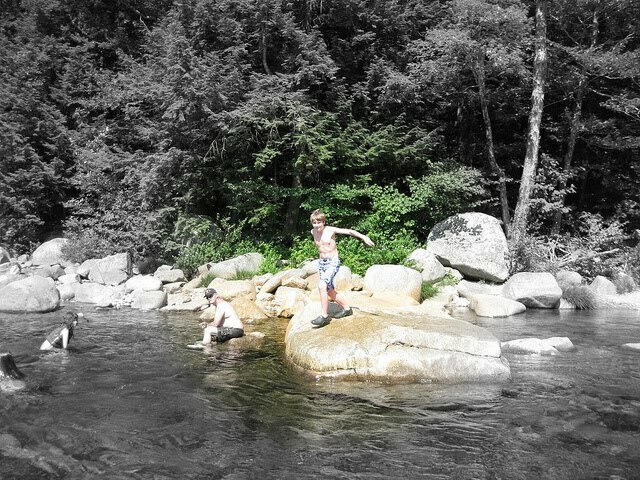 Here's a couple of more pictures of our 4th of July camping trip. Hope you're not sick of them. 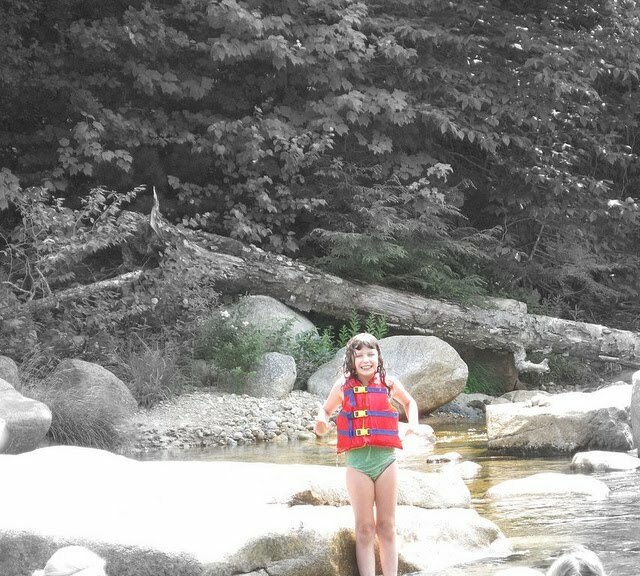 I'm going camping again next week (to a different place) will have more pictures then - lol. Here's the kids tubing down the Saco River. Which they love doing every year at the campground we go to. The giveaway for: Copy of book "Greek: Double Date" (7/27) has ended and here is the winner. The winner will be emailed shortly and has 72 hrs to confirm, or a new winner will be chosen. Thanks everyone for entering. Whenever we go to my mother's house, we always eat in her dining room. The kids really love it. Probably since we don't have one. It also brings back a lot of memories for me, from my childhood. Growing up we always had Christmas breakfast, birthday dinners and any other special occasion in my Mom's dining room. Maybe someday I will be able to have a dining room of my own. That would be cool, then I could start some memories in my own house. What do you think? 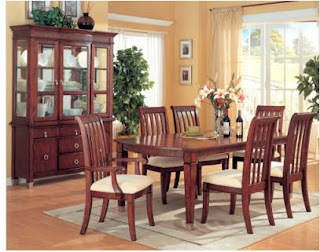 Do you like this dining room set? We have a blu-ray player but we don't own any blu-ray movies! I was looking online and found a great site that sells them. It is called iNetVideo.com. This site looks really great. Not only do they sell blu-ray movies but they also sell DVD, HD DVD, Video Games and Music CDs! And all at a really reasonable price. That's why I have been hesitant to buy any blu-ray movies, because of the cost. But on iNetVideo I saw some for as low as $9.99. Wow, that is awesome. Another thing I like about this site is the Video Games. My son received a Playstation 3 for Christmas and has a few games. But as you probably know they are so expensive. He only gets a new one on holidays or his birthday. But I was looking on iNetVideo and they have a lot of video games. And I even saw a new one for only $11.99. You may be wondering how they can offer everything for such a low price. Well since 1999 since they were founded they have offered "Entertainment for Less." This is one of the things that makes this site different from others. And they are one of the largest liquidators of entertainment products. They have offices in the United States and in Canada. Next time we are looking for a video game we will have to check this site out. And we should look into getting some blu-ray discs too. Check it out for yourself today! My Question: Do you or who ever does the laundry in your family check the pockets before washing stuff? My Answer: My kids have never been the kind to put stuff in their pockets so I never really checked. But recently my husband (we'll blame my husband) has kept pens in his pockets. So I washed & dried stuff with a pen. What a mess! And silly me not only did I do it once, but twice! Now I am trying to checking pockets. 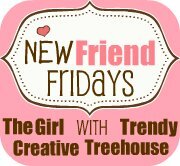 Check out all these Friday sites! I'll follow you if you follow me - lol! As a Mom, I know how hard it is to put yourself first. Sometimes you may feel you are just a personal chef, cleaner, etc. for your family. But Mom's should keep their identities too! Well I just found out about a great way that you can do that. You can continue your education and get an Online degree at Ashworth College. Right now there are some great reasons to further your education. Some being, to set an example for the kids, personal enrichment, preparation to re-enter the workforce when the kids are older, transition to a work-at-home career. Lately, I have been thinking about doing this. My reason would be to re-enter the workforce now that my kids are a little bit older. And Ashworth College has many benefits. Such as flexible and self paced study. 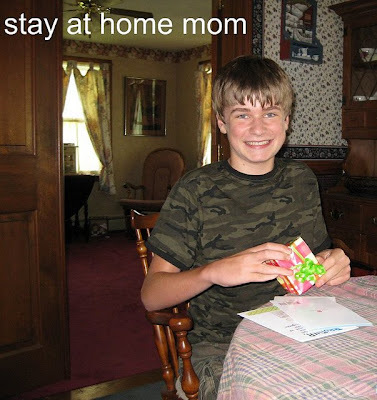 Perfect for Stay at Home Moms, or those working. Tuition includes all books and course materials. Wow! That's a great savings. Another great thing about Ashworth College is they offer zero-interest financing plus a low monthly payment plan. Monthly payments can run as low as a couple of large pizzas! Also some interesting information is that you can choose from more than 100+ nationally accredited career diplomas, Associate Degree, Bachelor's Degree, Master's Degree and Certificate programs for today's hottest and most popular careers, including: Medical Billing, Web Design, Bridal Consulting, Interior Decorating, Human Resources, Marketing, Early Childhood Education and more. There is a lot more to learn about this program! Too much for me to go into here. If you want to learn more about how you can continue your education at Ashworth College, then please visit their website! 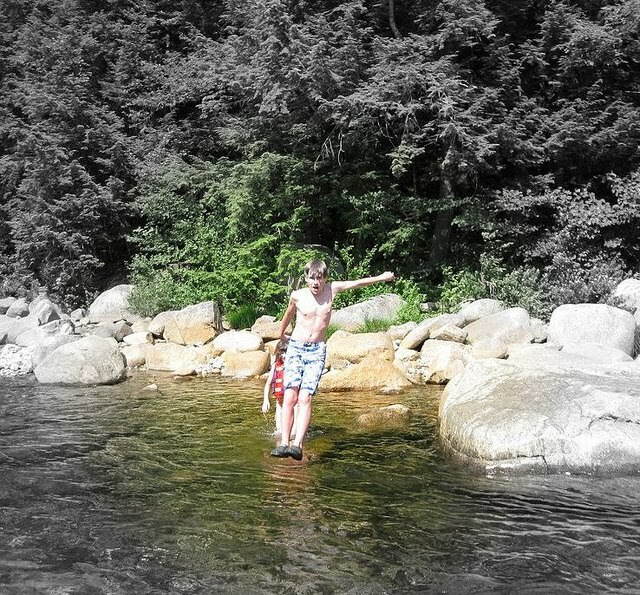 I have some more camping pictures to post. But in between was my son's birthday. He turned 14 on Friday. So here is some pictures. 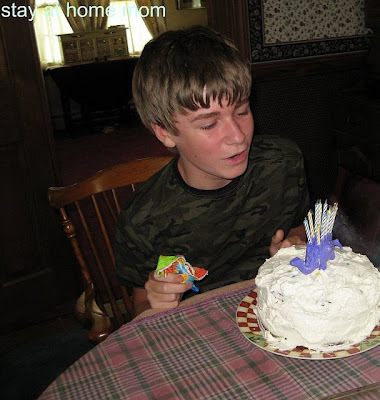 Him blowing out candles on cake. Someday I'd like to get picture with candles still lit! I guess it's because he's always in a rush to get to the presents! Recently I received a bottle of Dash Away to review & offer in a giveaway. While children are a delight, driving with them can be a messy proposition. They inevitably spill beverages and food on the upholstery and soil the carpeting with dirty feet and hands. While a trip to the car wash may remedy surface dirt, it’s tough to find a superior cleaner for EVERY surface inside your car that will handle the tough stains and smells. Additionally, products from the supermarket are typically not made specifically for cars and several of them are required for various surfaces. Wouldn’t it be great if you could have just one cleaner for the inside of your vehicle that can tackle even the toughest jobs? You can; it’s called Dash Away® from Surf City Garage. No matter what kind of dirt you have or how long it’s been there, use Dash Away to make it all vanish in minutes. Just one spray on every surface—from carpet, vinyl, and fabric to leather, cloth, plastic and even your child’s car seat—gives you super-fast, 100% safe cleaning with no greasy residue and maximum food and drink removing power. I was anxious to try out Dash Away. My cars dash is a mess and I have tried other things in the past. I sprayed it on my dashboard and the first thing I noticed was how it smelled. Which is actually it didn't have much of a smell - which is what I liked about it! It also goes on very smooth and did not leave a greasy residue when I wiped it off. It also really cleaned great! My husband is now excited to try it on the upholstery in his car. That's another nice thing about Dash Away, it's an all in one cleaner for your car. That's a great savings! Buy It: Visit Surf City Garage to purchase a bottle or visit one of your local auto parts stores such as Pep Boys, NAPA , Advance Auto, and O’Reilly Auto Parts. Mandatory Entry: YOU MUST DO THIS FIRST or all other entries will be DELETED! Please visit: Surf City Garage and let me know another product that you would like to try. RULES: Giveaway is open to US Residents only. Giveaway ends August 3, 2010 11:59 PM EST. Winner will be chosen via Random.org. Must have valid email in blog profile or leave email in comments otherwise you will be disqualified. Winner will have 72 hrs. to confirm by email, If no confirmation in that time frame a new winner will be chosen. Disclaimer: I received this product from Surf City Garage for the sole purpose of reviewing it and for offering it giveaway. No monetary compensation was given and my opinions are my own. What do you love to do? Bike rides in the park? Scrapbooking? Travel? No matter what you love to do, you´ll need a healthy heart to do it, Cheerios can help. 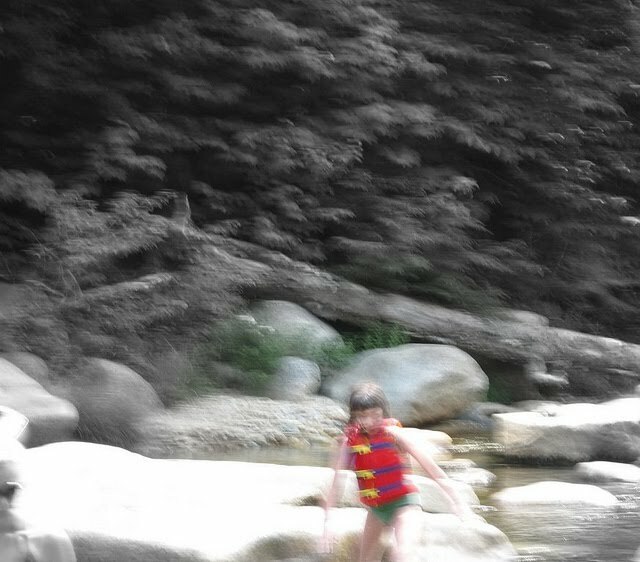 Now through July 23, 2010, you can submit your 150-250 word original story and photo, showcasing what they love to do. 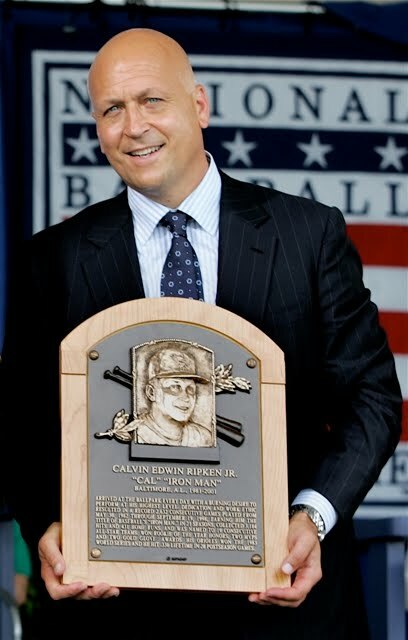 For a chance to win the experience of a lifetime with McBride and Ripken, visit http://www.cheerios.com/love today. As part of this great campaign Cheerios & MyBlogSpark are offering my readers a great giveaway! Win it: One lucky reader will win one box of Cheerios and a $25 American Express® Gift Card that you can use towards doing what you love. Mandatory Entry: YOU MUST DO THIS FIRST or all other entries will be DELETED! Please share what you do to keep your heart healthy so you can do what you love to do. 9. For 5 extra entries blog about this giveaway, linking back to this post. RULES: Giveaway is open to US Residents only. Giveaway ends July 30, 2010 11:59 PM EST. Winner will be chosen via Random.org. Must have valid email in blog profile or leave email in comments otherwise you will be disqualified. Winner will have 72 hrs. to confirm by email, If no confirmation in that time frame a new winner will be chosen. Disclaimer: I received the product, information, and prize packs from Cheerios through MyBlogSpark. My Question: Growing up did you have big birthday parties with your friends? What month is your birthday in? My Answer: I ask this because today is my son's 14th birthday. His birthday being in July has always kinda meant he doesn't get the big "friend party." Instead he just gets the "family party." 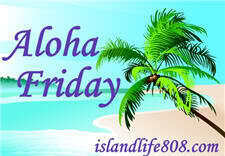 Check out all these Friday Follow sites. 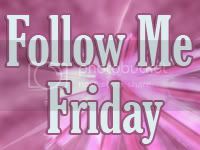 If you are so kind and follow me - I will follow you back. I will do so as soon as I can. Recently, I received some key chains from Wholesale Keychains.com. I picked out 3 different key chains to review. First is the Barrel of Monkeys Key Chain. Awww... isn't it cute? Of course my daughter had to have it! Adorable! Doesn't that look nice? Would be great for a Wedding or Bridal Shower gift. I was thinking might even make great wedding favors. I think I might give mine to my Nephew, who is renewing his Wedding Vows next month. Isn't that too cool? I totally think I am keeping this one for myself. I really love all these key chains! And I am excited to be able to offer my readers these key chains in a giveaway too! Buy It: Visit Wholesale Keychains.com.to purchase these key chains or many more from their huge selection. Win It: 3 lucky readers will each win one (1) of the above key chains for themselves. 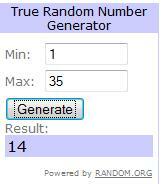 The first number I draw from Random.org will win the Barrel of Monkeys Key Chain. The second number will win the Wedding Keychain & Keyring - Bride & Groom. 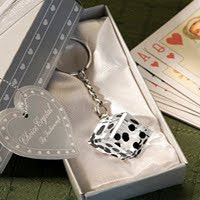 And the third number will win the Las Vegas Keychain & Keyring - Crystal Dice. Mandatory Entry: YOU MUST DO THIS FIRST or all other entries will be DELETED! 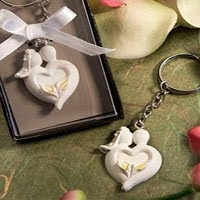 Please visit Wholesale Keychains.com and tell me another key chain different from the ones mentioned above that you like. Disclaimer: I received these products from Wholesale Keychains.com for the sole purpose of reviewing them and for offering them in a giveaway. No monetary compensation was given and my opinions are my own.